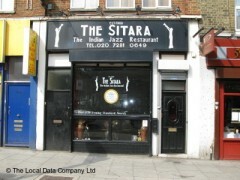 About: The Sitara Indian restaurant is a family business and is located in Archway, N19 and has been establish over 25 years. Sitara offers authentic Punjabi cuisine. All our food is freshly prepared. All produce are bought daily and meals are prepared in full view,so you can see exactly how your food is being prepared. I have been here a few times and the food is always great. Quite possibly the best indian in the North London area and I have eaten in a lot of restaurants around London. Nice and friendly family-run restaurant near Archway station. Delicious food and very accommodating staff/owner. Complimentary drinks for dessert were offered too. But, don't order delivery from here - chicken was dry and hard, possibly reheated or micorwaved. Stick to the restaurant, much better and tastier experience. Bang up job. Great food and service be it deluvery or eatinng in. Jazzy tunes too. Quite frankly amazing restaurant. Risked it for a biscuit and will most definitely be returning. Service was quite bad to be honest but the overall vibe of the place was fantastic. The food was first class and the staff were friendly, just a bit slow. Will most definitely be returning. i love indian food, i would agree with other review. this is the best indian by far. Yes the service could be quicker but if you want fast food go to kentucky over the road. the wait is worht it ! great great food, and the staff are warm and friendly. You can even see your food being cooked in the open kitchen. Go and enjoy !!! I've had more Indian meals than I have had.....well, not quite more than I have had hot meals, but you get the idea - I like Indian food. I have two favourite Indian restaurants and Sitara is the best of the best. I'm not the only one who thinks this and that's why you are taking a gamble if you don't book. The décor is okay, they play only Jazz music and at nine'o'clock, the lights get dimmed and the music gets a little louder. If been in restaurants with more choice and certainly with faster service, BUT, the food here is simply fantastic, the best Indian by far. You wouldn't believe that there could be such a difference serving the same food, but there is. Despite any negative comments that I have, this is definitely a ten out of ten.